For the latest libation in our classic cocktail series, we’re showing you how to make a Manhattan cocktail! 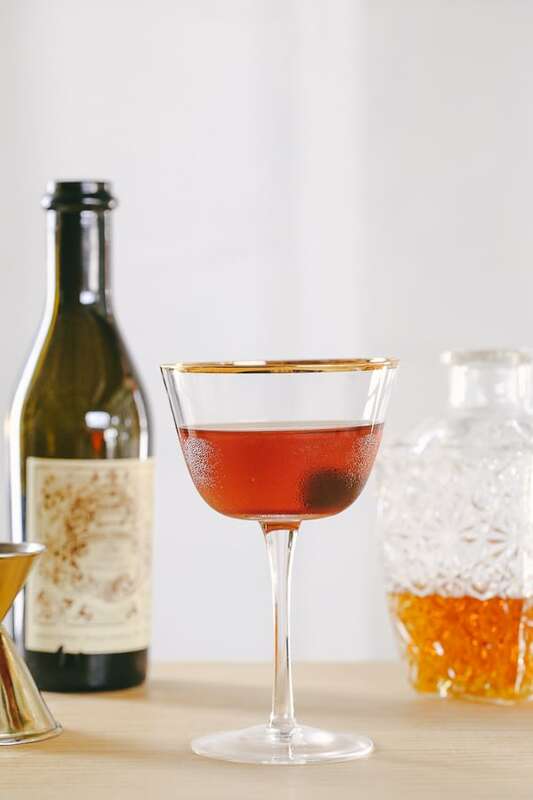 There are no added frills to the classic Manhattan since it’s over 100 years old and is still made the same way it traditionally was back in the day. Isn’t it cool to think you can sip on the same vintage cocktail recipe people did so many years ago? That’s what I love so much about these classic cocktails…they’re the inspiration and the base for so many of our artistic cocktails now. 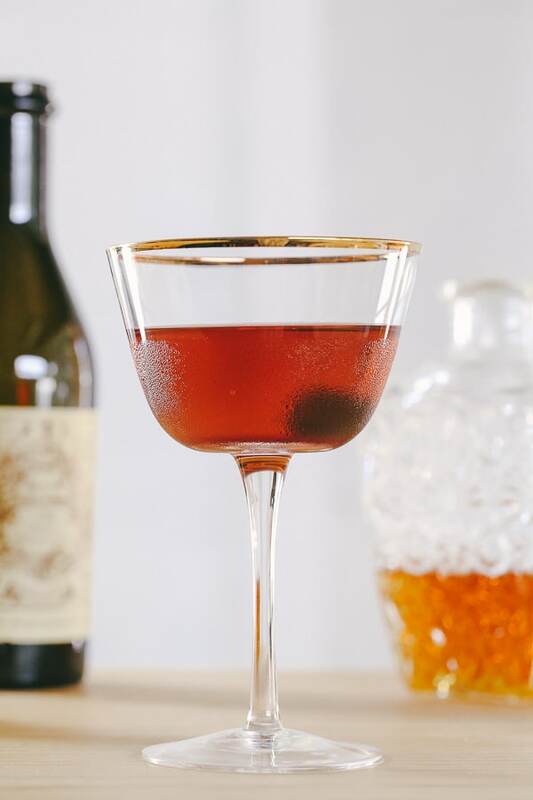 The Manhattan is similar to an old-fashioned in a lot of ways, except it has some vermouth in it and is garnished with a maraschino cherry. So if you love classic whiskey drinks, try the Manhattan! And if you want a modern twist on this classic, try our popular Red Moon Over Manhattan! Cheers! Add the ingredients into a mixing glass and stir with ice. Rub the orange slice around the rim of the glass. Strain the cocktail into the glass and add in a cherry.